Let’s just add this to another thing black people can’t do. Well, actually, with recent reports about black shoppers being profiled in the Georgetown section of Washington, D.C., we already knew that shopping while black was an issue. But who knew that big-time NBA players had to deal with it, too? 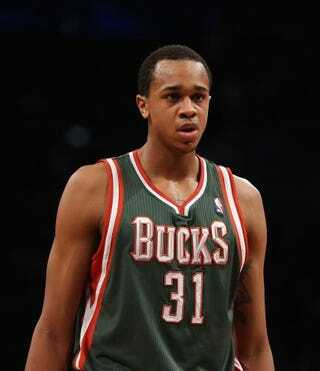 The Milwaukee Bucks’ John Henson recently tried to shop at Schwanke-Kasten Jewelers in Whitefish Bay, Wis., and he says he wasn’t exactly welcomed. Henson posted the encounter on his Instagram page. I guess he’ll spend some of that $44 million he just earned from a new contract extension at another jewelry store, one not named Schwanke-Kasten Jewelers.